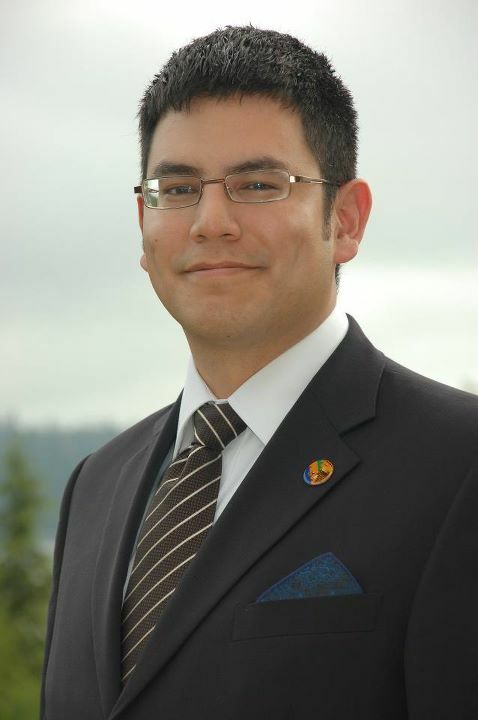 This is my official portrait as a sitting Member of Council for the Huu-ay-aht First Nations. I was born and raised on the East Coast of Vancouver Island in and around Parksville, British Columbia, Canada. I went to school all over School District 69 and graduated from Ballenas Secondary School in 1999. Beginning in 2000, I attended what is now called Vancouver Island University and graduated with distinction receiving a Bachelor’s Degree in Global Studies. I am dual heritage: half-First Nations and half-Scots/Irish. My mother is the late Sandra Lucille Gallagher (Jack), the youngest daughter of Ernest Jack, a fisherman from the Huu-ay-aht First Nations, and Shirley Jack (Chester), who was originally from the Ditidaht First Nation. My father is David James McIvor, a former faller (feller?) and the youngest son of Cecil “Buck” McIvor, who owned a sawmill in Errington, British Columbia. I have two brothers, but lacking their permission, I reckon I’ll not name them. I began my working life in the service industry [Chinese Food Delivery] and ended up working a more physical job afterward [The Winery, a self-brew wine business]. From there, I became more involved in the governance work of my tribe, the Huu-ay-aht First Nations. I first became involved in the Constitution Committee, a group of HFN citizens who helped create Huu-ay-aht’s ultimate law. From there, I branched into a position on staff in “Eligibility and Enrollment” where I registered our people under the Treaty so they could vote for or against it in the referendum. I also served as an Assistant to Chief & Council, as the Communications Coordinator, and also sat on other law-creating committees leading up to self-government: Finance, Governance and Citizenship. In 2009 and before the Effective Date of the Maa-nulth Treaty, I took the chance on running for elected office. I had the good fortune to be elected into office, and served for two years until the treaty mandated that a new election under self-government be conducted in 2011. During that time, I held the portfolios of economic development, finance and housing. In 2011, the first general election was held under self-government, and I once again had the good fortune to be re-elected. I will be up for re-election in June 2015. As of May 2016, my current portfolios as a Member of Council are: (1) treaty implementation, (2) representative to Maa-nulth Treaty Society, (3) LNG advisory committee, (4) LNG negotiation team, (5) law & policy development, and (6) representative to Alberni-Clayoquot Regional District. UPDATE: On 24 September 2015, our first child, a daughter named Ezri Lucille Jack, was born in Nanaimo Regional General Hospital. I have plenty of photos on my Instagram account. Also, we bought a house in French Creek in August. Tumblr – I’m a tumblr… or at least, used to be. Good idea John. I look forward to seeing your web page come together. I know you have a lot to say that is worth listening to. I look forward to reading more of your stuff, John. I believe you are an very smart man.